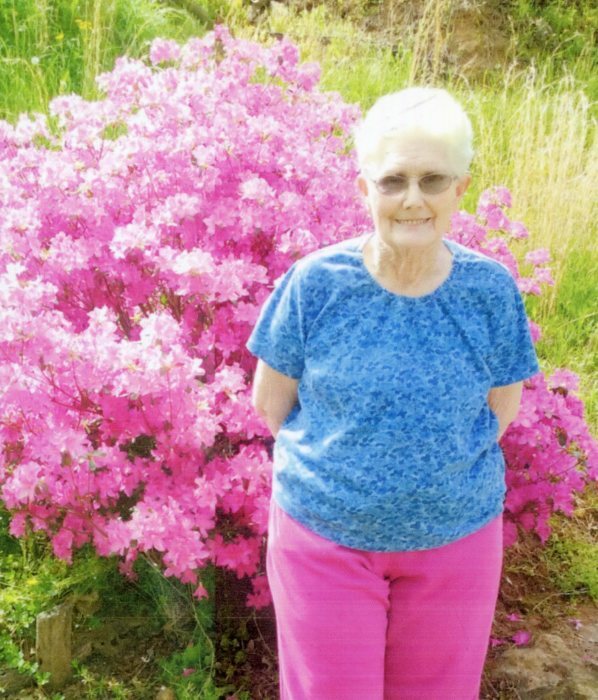 Clyde, Edith Earley Russell, 83, passed away on Saturday, April 6, 2019 at Maggie Valley Nursing Home and Rehabilitation Center. A native Jackson County, she was the daughter of the late Pressley and Emma Shuler Earley. She was also preceded in death by her husband, Johnnie H. Russell, who died in 2016; a brother, Lloyd Earley; a granddaughter, Christy Lynn Beasley; and one great-great-granddaughter, Raelynn Boone. She was a member of Panther Creek Baptist Church. Edith was an excellent seamstress loved to sing and work in her yard. She is survived by two daughters, Sandy Beasley (Tommy) and Donna Greene (Lowell); two sons, Doug Payne (Joyce) and Mike Payne (Charlene) all of Clyde; a brother, Blaine Earley (Joyce); four grandchildren; eight great-grandchildren; and two great-great grandchildren. Funeral services will be held at 3:00 p.m. on Sunday, April 7, 2019 at the Panther Creek Baptist Church with the Reverend Ronald Greene officiating. Burial will follow at the church cemetery. The family will receive friends from 1:30 until 3:00 p.m. prior to the service at the church.